The new Ltd. Ed. Inspired by "1955" Les Paul Custom™ Outfit has the same profile of 50s era Les Paul Customs with a Mahogany body in an Aged Gloss Ebony finish and a 5-layer (black &white) pickguard. The Mahogany neck has a 50s style Rounded “C” profile and is glued deep into the body with TitebondTM glue so the entire instrument resonates as a single piece of wood. 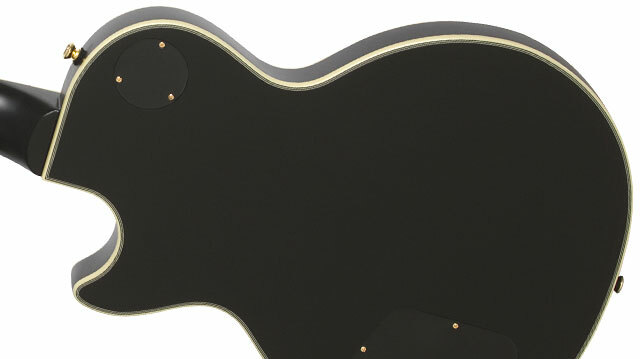 The top of the body has 7-layer Ivory and Black color binding while the Ebony fingerboard has single layer Ivory color binding. The neck has 24.75” scale length, a 12" radius, 22 medium jumbo frets, and vintage style Split Diamond Pearloid inlays. The Ltd. Ed. 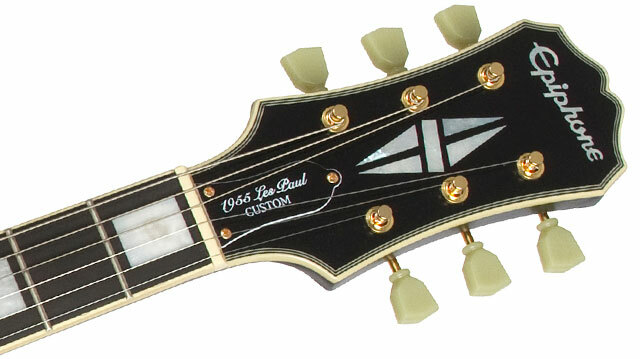 Inspired by "1955" Les Paul Custom™ Outfit is powered by Gibson USA Soapbar P-90 pickups with gold pole screws. P-90 pickups are recognized as the most powerful and versatile single-coil pickups ever made and were Les’ favorite style of pickup for his personal Les Pauls. 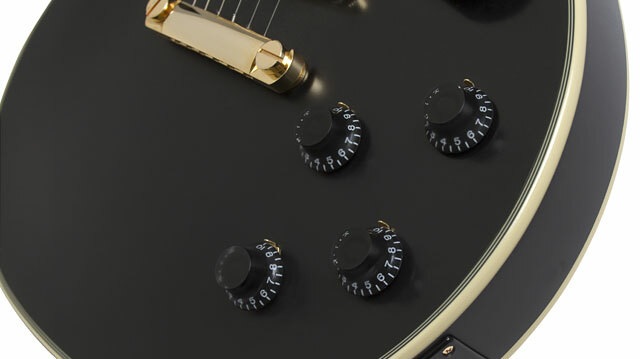 Each pickup has individual tone and volume controls with Black “Top Hat” knobs with metal pointers. The 3-way Pickup Selector switch has an Amber colored toggle cap. The “1955” Les Paul Custom Outfit comes with Epiphone’s Heavy-Duty Non-Rotating 1/4" output jack with a Square Jack Plate, a gold LockTone™ Tune-o-matic bridge and Stopbar tailpiece, and gold Epiphone "Deluxe" machine heads with an 18:1 ratio on a split dovewing headstock with the Epiphone logo in Pearloid. The dual action truss rod has a 2-layer black & white cover with "1955 Les Paul Custom" in white. 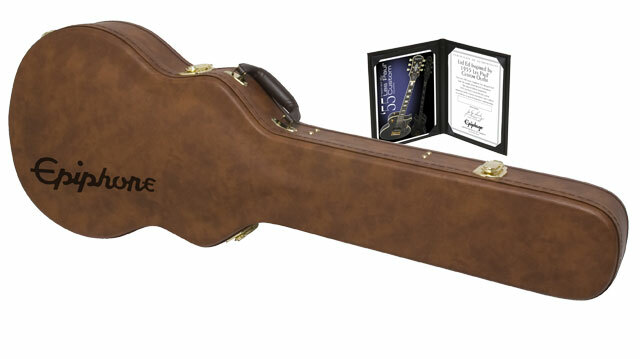 A vintage style hard case and certificate of authenticity case are included. Like all Epiphones, the Ltd. Ed. Inspired by "1955" Les Paul Custom™ Outfit comes with a Limited Lifetime Warranty and Gibson’s world famous 365/24/7 Customer Service. Visit your authorized Epiphone Dealer today or visit Epiphone.com to find a dealer near you and make some “Les Paul” history of your own with the Ltd. Ed. Inspired by "1955" Les Paul Custom™ Outfit.